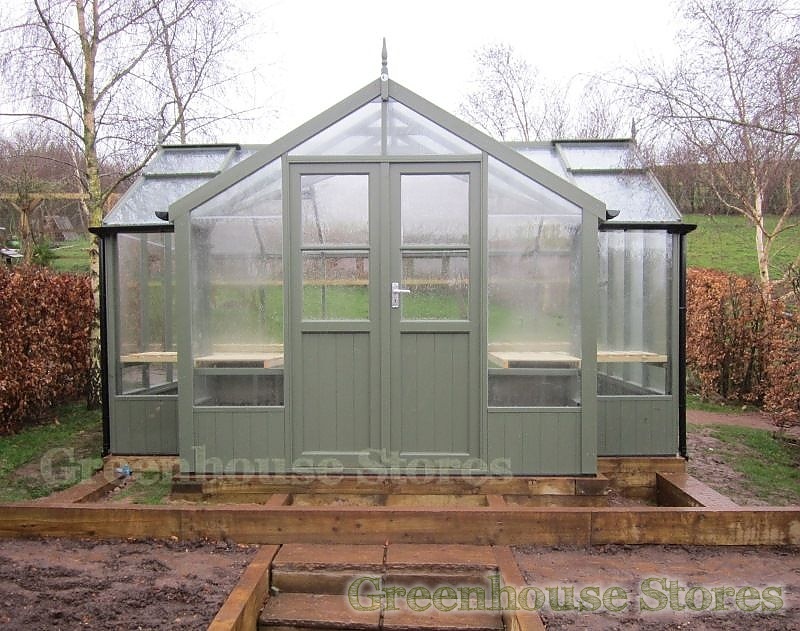 2660mm (8ft 9") Wide T-Shaped Wooden Greenhouse - Large Growing Space. 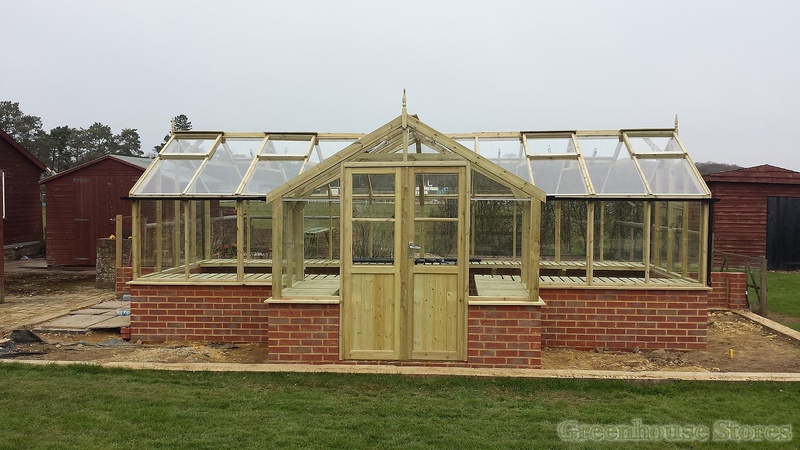 730mm (2ft 5") Long Porch - Porch Entrance. 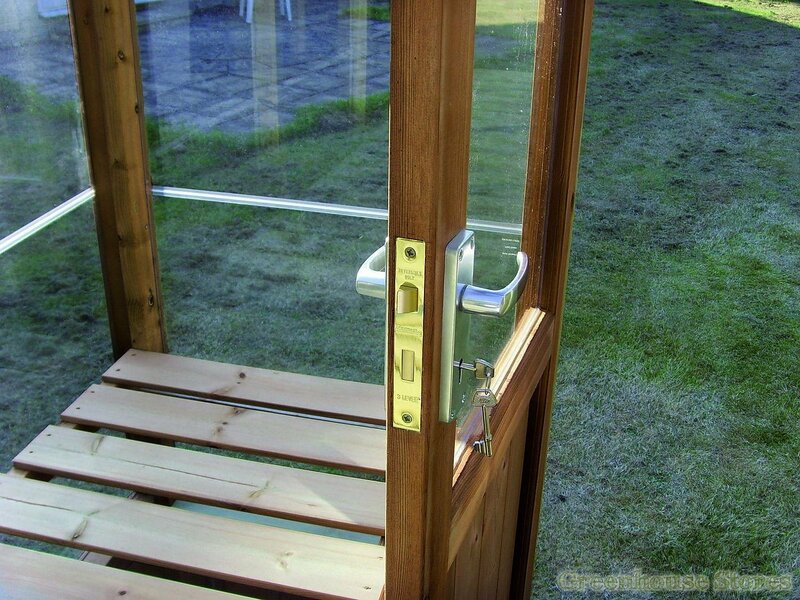 Double Doors with Mortise Lock - Easy Access and Security. 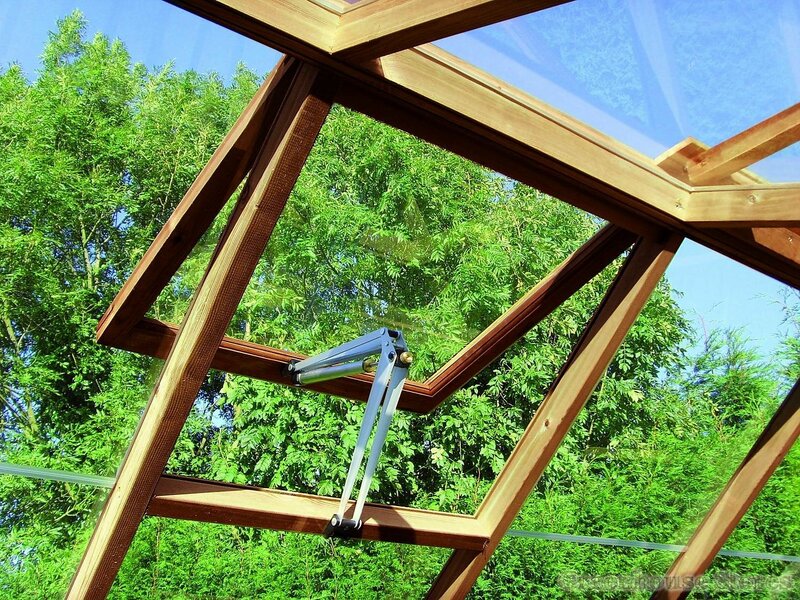 4mm Toughened Safety Glass - Safe, Strong and Family Friendly. 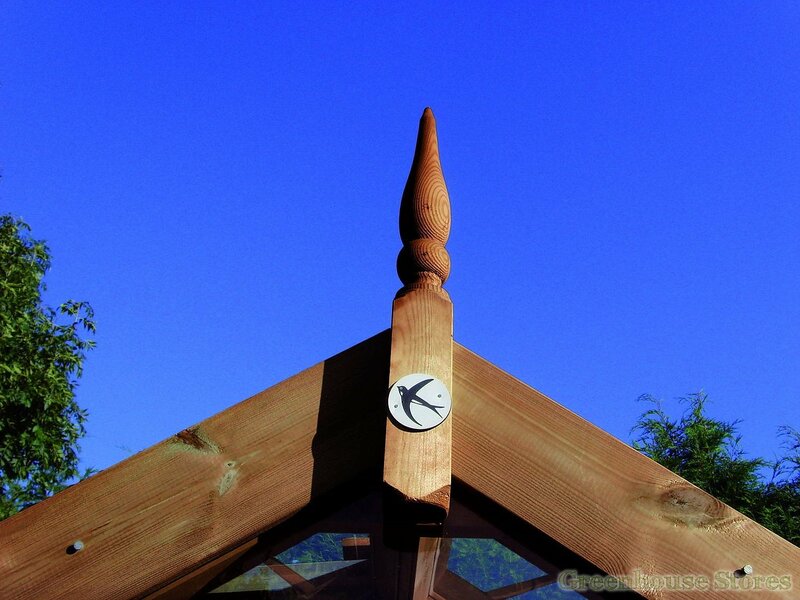 9 Opening Roof Vents - For Ventilation. 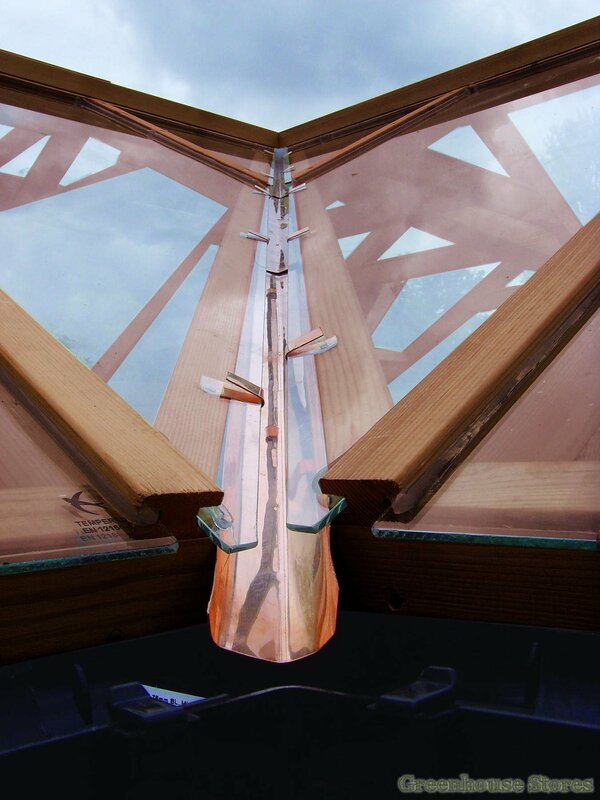 9 Bayliss XL Autovents - Automatically opens your roof vent. 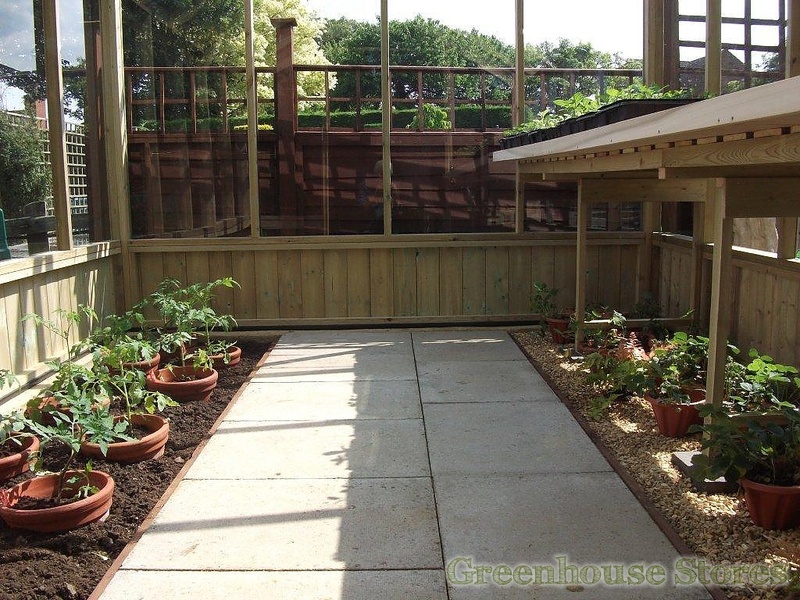 2 Front returned stagings - 520mm wide, 745mm high. 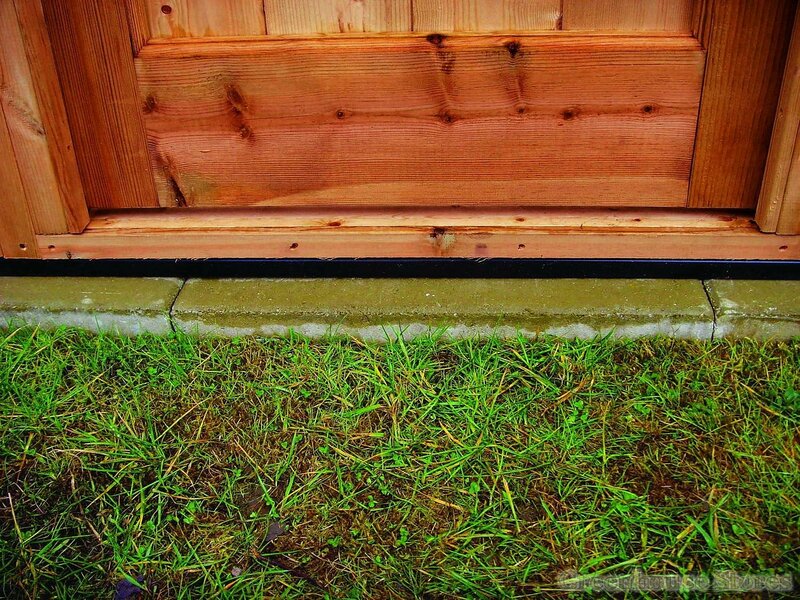 20mm Black PVC Damp Barrier - Screwed to bottom to stop rising damp. 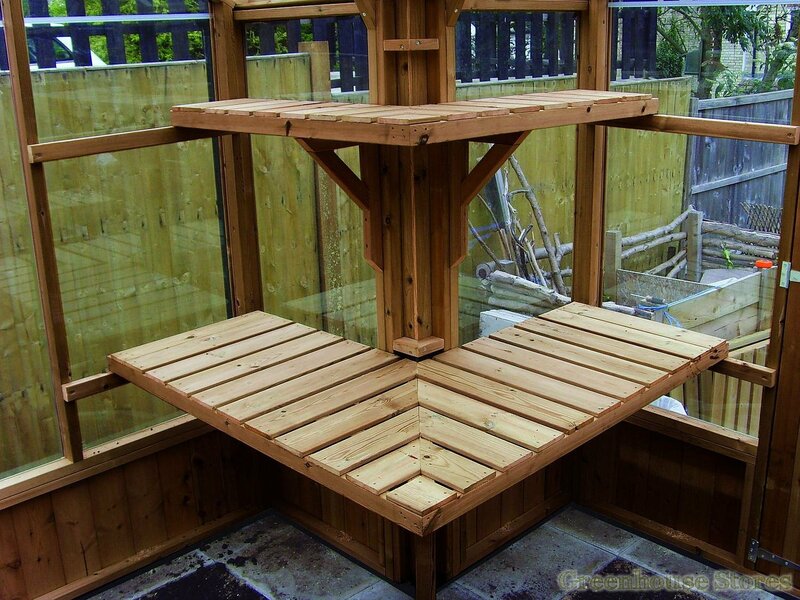 10 Year Warranty - on Timber. 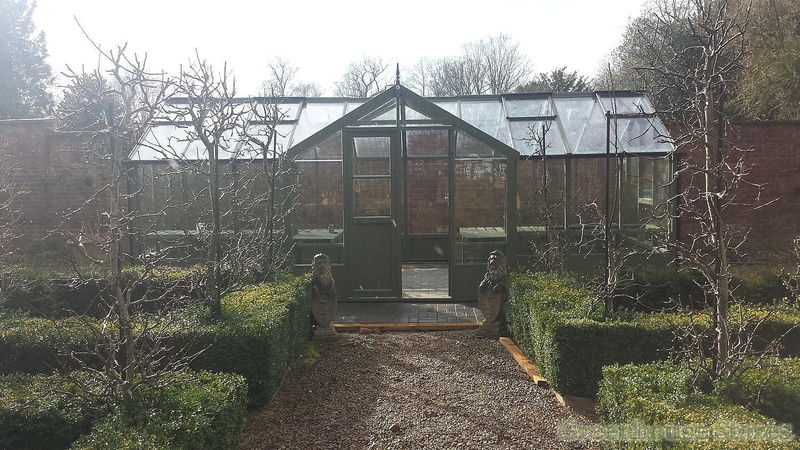 The 8ft x 30ft Swallow Swan looks great and with it’s 8ft wide porch entrance it’s very spacious. 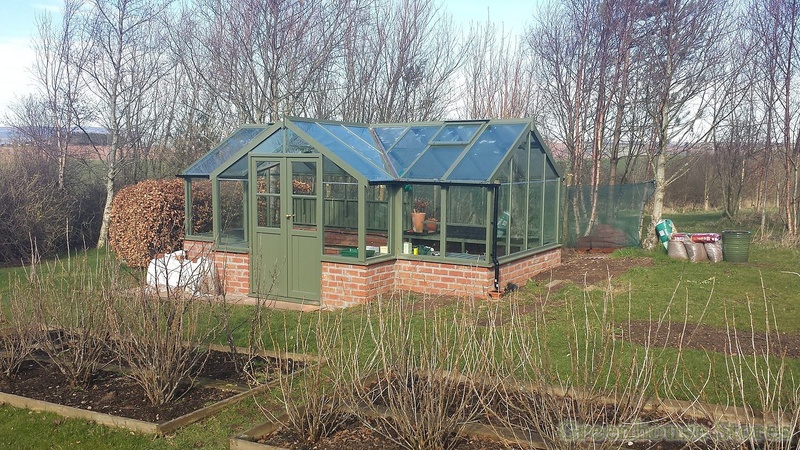 It’s also delivered and installed for FREE ! 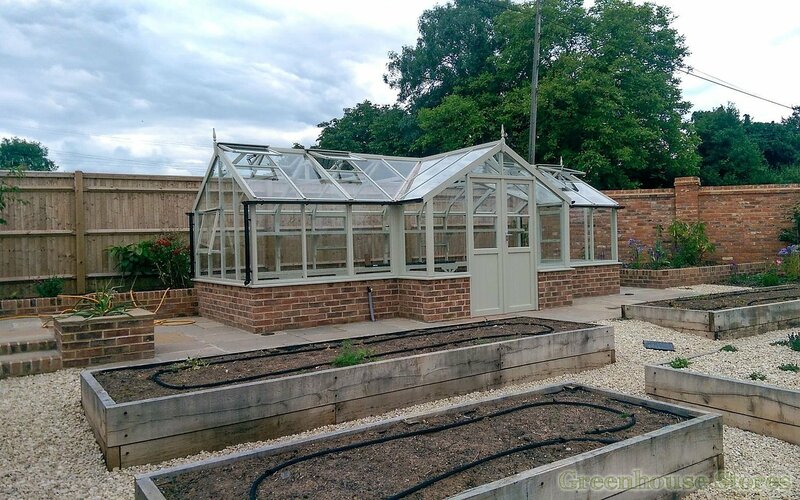 The Swallow Swan is yet another great Swallow greenhouse hand built by British craftsmen with a lovely traditional look. 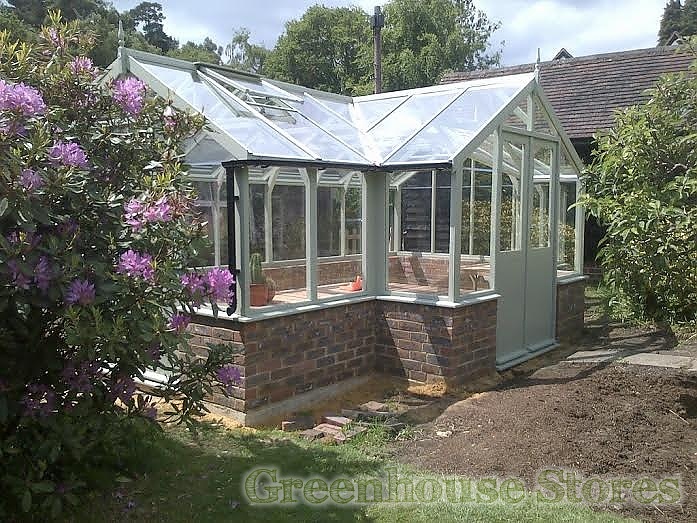 It has a 10 YEAR WARRANTY and free installation. 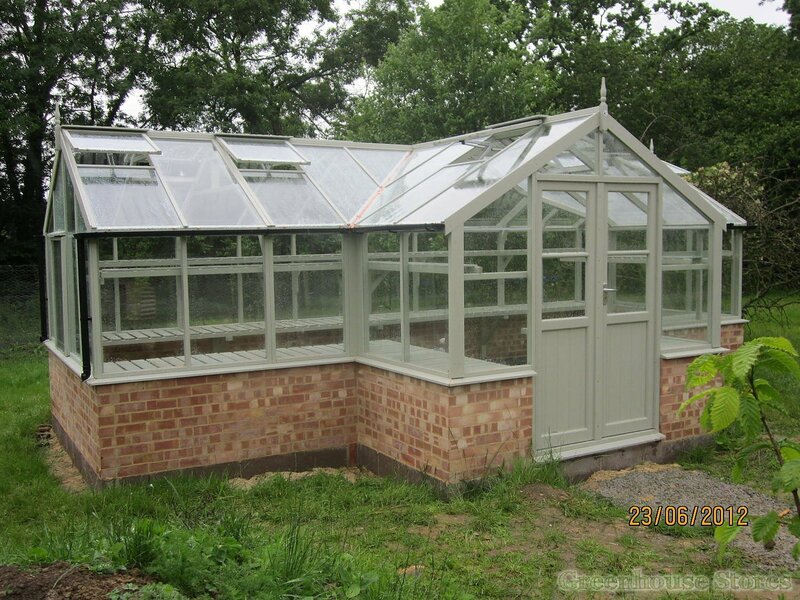 We recommend Swallow greenhouses as they are the best British made wooden greenhouse available today. 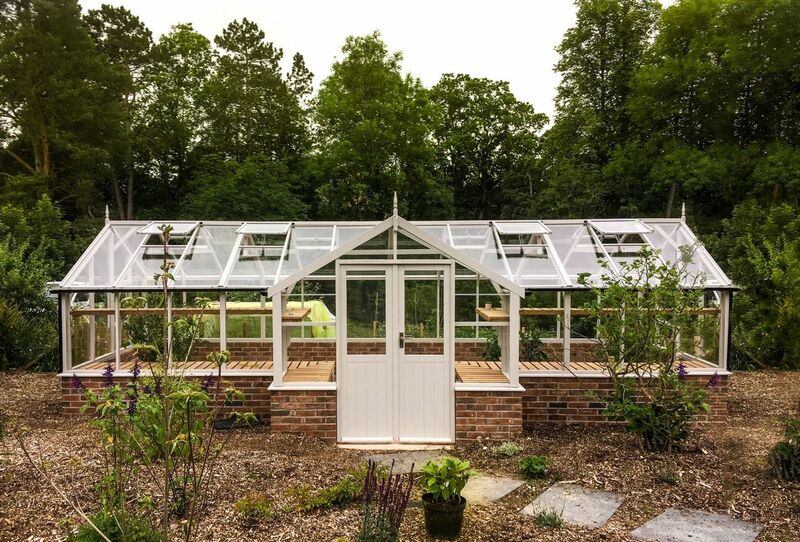 Add an additional double door to the gables of your greenhouse for access to either side.